Discover a spectacular retreat for work and play at the Hilton DFW Lakes. Click here for more about Attractions & Sights Near Our Fort Worth Hotel. Click here for more about the Features & Services at our Dallas Lodging. Luxury accommodations. Dazzling event facilities. And a relaxing resort-style setting. Discover the perfect spot for work, play, or a little of both at the Hilton DFW Lakes. 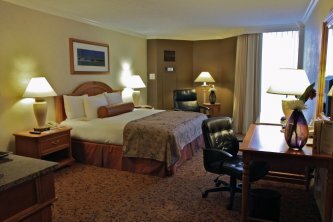 Book your Fort Worth hotel reservations online today for Our Best Rates. Guaranteed. Click here for our Dallas Fort Worth Vacation Packages & Specials.